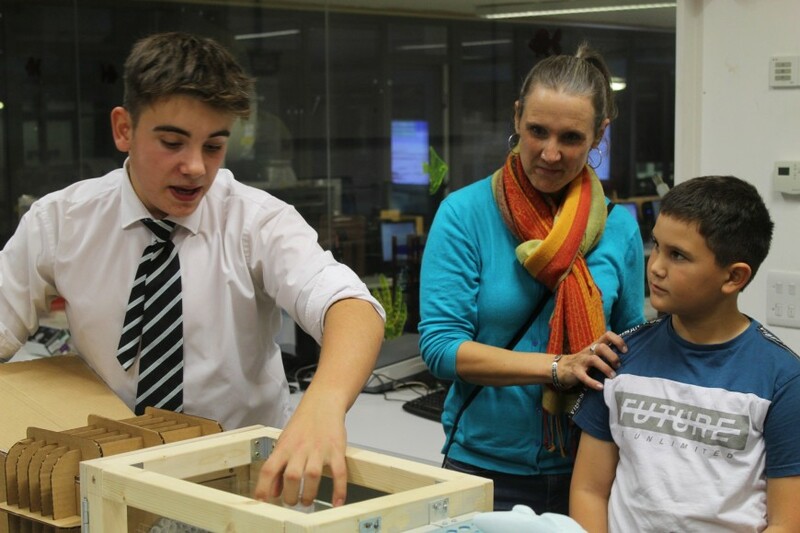 It was another hugely successful Open Evening at Falmouth School and one of the busiest in recent memory. There was an extra special buzz around the school this year, as many members of the public got a first glimpse of our stunning new Sports Hub with tours during the evening. Hundreds of prospective parents and students flocked into the building to take a closer look at what makes us one of the top performing schools in Cornwall and to hopefully choose Falmouth as the right place to learn for your children. Guests were greeted on arrival by the Jazz Band on reception before gathering for Leadership Team presentations, packing out the Main Hall. Any guests feeling a bit peckish after the presentations could sample some delicious food options from school chefs, who treated visitors with some tasty treats from the school menu. There was a tremendous atmosphere through the busy corridors with a whole host of fun filled activities on offer throughout the school and a wide mix of age ranges. Visitors on the night also had the opportunity to view our excellent recent Art Exhibition. Guests were spoilt for choice, with over 20 activities available to try in various subject areas including; English, Maths, Science, Geography, History, Languages, IT, RE, Media, Childcare, Hairdressing, Design Technology, Art, Drama, Music, Dance and PE. There were plenty of practical options on offer, including bread making, badge making, quizzes, fancy dress competitions, treasure hunts, sports challenges and some mind boggling science experiments! Overall it was an excellent evening and we appreciate everyone who made the effort to join us and all of the fantastic feedback we received.